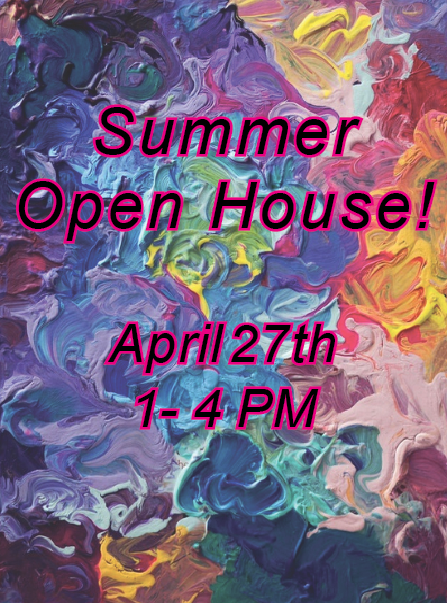 Join us this April for our first Summer Camp Open House of the year! Experience easy to jump into workshops that include Street Art Painting, Botanic Watercolor Painting, Airbrush Painting, and MORE! This is a great chance to meet some of our teachers, tour the school and get your spot saved for this summer.